Japanese carriers work a little different than American and European carriers. They seem to enjoy flight more than anyone else. 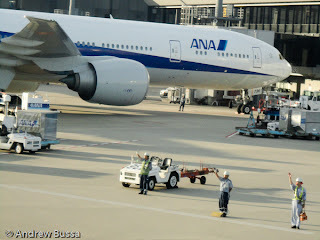 Two examples are the ground crew waiving (after a respectful bow) to their departing 777. 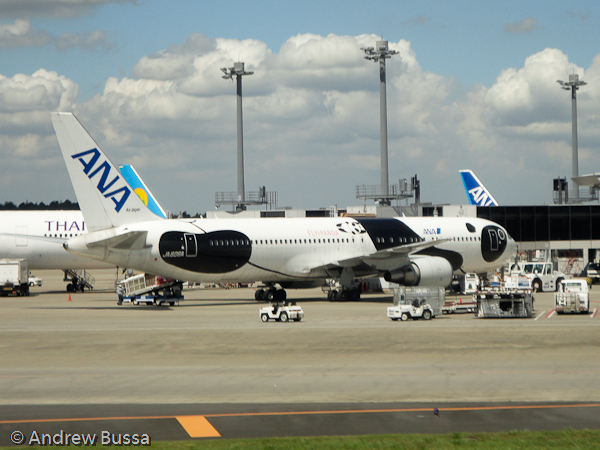 I also spotted a Panda colored 767 (ANA also did a Pokemon 747 that has since been repainted in normal colors).